Restoration of English Round Dining Table with 12 Extension Leaves — Bernacki & Associates, Inc. This dining table proved an impressive piece of furniture on all fronts. With 12 extension leaves, its diameter reached to 132 inches when fully extended. Further, a telescopic screw mechanism (patented in 1861 by Samuel Hawkins of Bishopsgate, London) made the project all the more ambitious…and worthwhile. Numerous areas would need attention, including structural concerns like an unstable table base due to loose joinery and extension glides. Several portions of veneer were delaminating at the table apron and finish had become discolored and scratched with wear. Along with a broken extension mechanism, the 12 leaves were warped with some entirely separated at seams. The table’s signature expansive diameter was splitting, marring the aesthetic, functionality, and integrity of the piece. Treatment by Bernacki & Associates was nearly as ambitious as the table’s design, itself. 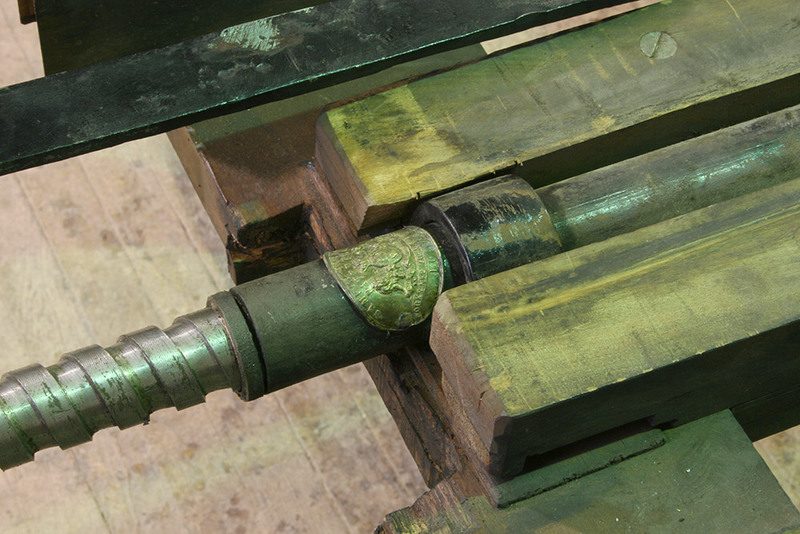 In order to clean adhesive from joints and tighten glides, the whole piece was disassembled. The broken crank mechanism was lubricated and broken bracket welded. Spits were secured with proper adhesive and wooden butterfly reinforcements with leaves adjusted to fit overall design. With a final layer of English polish offering consistent sheen and color, this remarkable table was now complete.